It was the biggest downpour of the summer in late August, when I sat at Cagibi, drained in sweat and rain, waiting to interview one of my favourite local bands. When Erik Evans of Canailles arrived, I had already helped myself to a few rosé ciders. Luckily, Evans turned out to be extremely down to earth, joining me in drinks and a conversation style interview as the rain poured on hot Montreal pavement umbrellas sprouting like dancing mushrooms across the city. 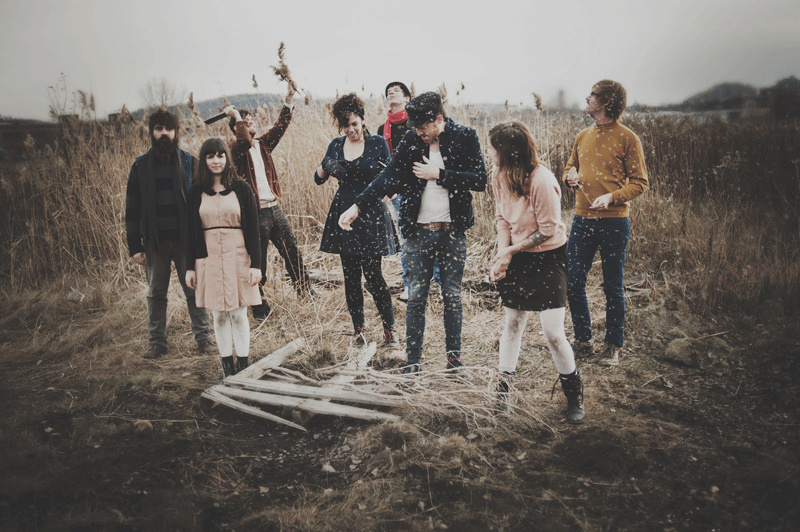 Canailles began with the casual meeting of five people jamming in Parc La Fontaine. 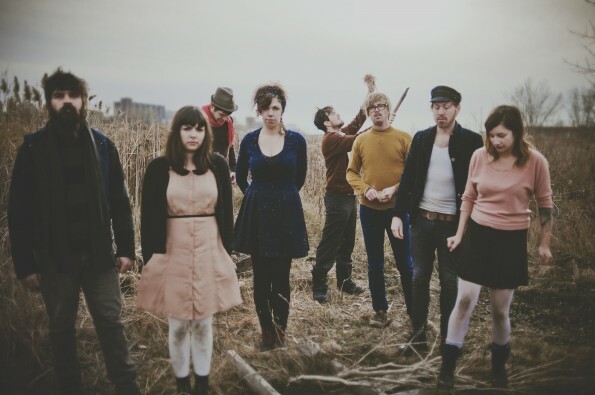 The original members were Daphné Brissette (vox), Dan Tremblay (banjo, guitare-pelle, vox), Alice Touga St-Jak (accordéon, vox), Annie Carpentier (planche à laver, vox), and Erik Evans (mandolin, vox). Joining the original five on this journey are Benjamin Proulx-Mathers (guitar, banjo), JP Tremblay (percussion), and Tony Le Tigre (double bass, vox). Evans recounted that recently, Canailles recalled their beginnings and how they’d once hoped to get the chance play up north in Tadousac. Only a couple years later, the band has traveled to Tadousac and beyond, going across Canada, the U.S., France, Belgium, Germany, and even all the way to the Indian Ocean. 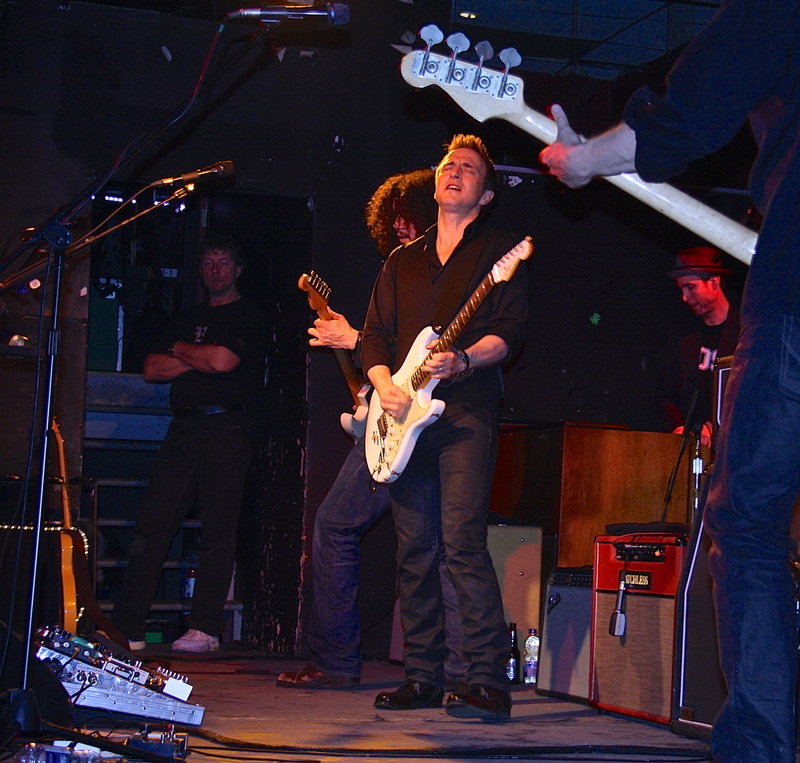 At the time of this interview, Evans had been back in Montreal for only three days and estimated that the band had spent a total of one week in their home town during the summer. 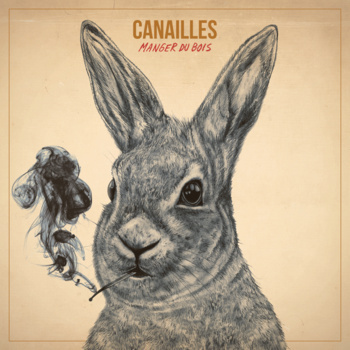 Indeed, Canailles has been touring extensively since the release of their first album entitled Manger du Bois playing over 150 shows since last February. In 2012, Canailles released Manger du Bois with Grosse-Boîte. 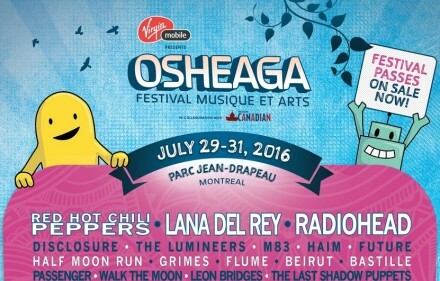 Since then it has reached the top of my musical charts – the only Québecois band represented. Manger du Bois is decidedly folk with references to hill billy country, blues, and punk trash attitudes all mixed up in a musical gumbo that packs a punch. The lyrics address the stuff of everyday life with a tongue-in-cheek in-your-face manner that is decidedly refreshing. Favourite tracks are ‘‘Bien-Être,’ ‘ Dans mon litte,’ and ‘Muraille de Chine.’ The lyrics are written by four of the original members including Evans, Brissette, and St-Jak, Tremblay. Notably, the Canailles crew recorded their debut with local musician, magician, producer, and playwright Josh Dolgin (a.k.a. Socalled). In terms of musical influences, Evans couldn’t speak for the rest of Canailles. But he noted that there are common influences in old North American folk music and music from Louisiana. As for Evans himself, he is currently listening to Tom Waits, The Beatles, Radiohead. 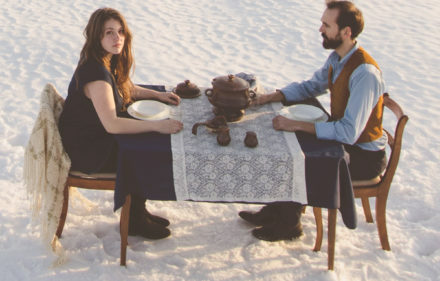 In terms of contemporary music, Evan’s nodded towards Avec pas d’casque, a Québecois band with folk and grunge influences. “At this time in Quebec, Avec pas d’casque is the richest in terms of poetry and ambience,” he said. Evans and I discussed Québecois music and both agreed that for a long time it was largely mediocre, although now nostalgia has painted some of these acts in an ironic nostalgic light (i.e. Les B.B.). Recent changes to the music scene at large has seen a new generation of musicians breaking the mould and, in the case of Canailles, the very limits of language barriers. More than often, Québecois artists are limited to French-speaking audiences limiting the reach and affect of their musical contributions. Evans attributed Canailles ability to move beyond language borders to having had the luck in their beginnings of playing with bands that opened doors for them, including names like Lake of Stew, Bad Uncle, and more. 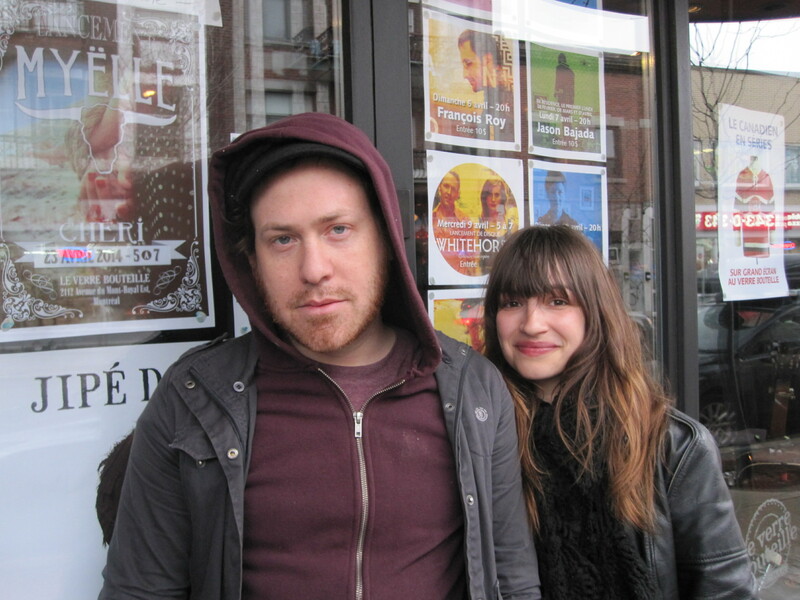 Furthermore, once Grosse-Boîte took interest in the band, they began booking showcases like SXSW and others that helped bring their sound to diverse scenes. “In the style we are in, it would be easy to fall into patterns and try to squeeze expressions into our songs,” Evans said in answer to my question about writing songs in the colloquial language of Quebec. “I find adding joual expressions like ‘swing la bacaisse’ for the hell of it uninteresting. The texts we write reflect how we actually talk,” he said. One of the expressions that puzzled me, as a native of rural Quebec, is ‘manger du bois.’ I had to ask and Evans obliged.